the delivery of high quality education services. 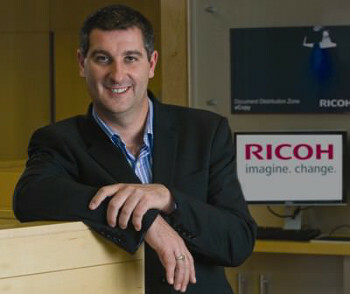 Chas Moloney director Ricoh UK and IrelandResearch published by Ricoh Ireland has revealed that the education sector is lagging behind all other industries due to out of date working practices, and is struggling to keep up with the pace of technology-led change. 88 per cent of those surveyed within educational institutions across Europe, including Ireland, said the way they work is out of date. These respondents confirmed that this prevents them from being as effective and efficient as they could be, an issue which is having a major impact on their ability to effectively deliver high quality education services. "With teachers and students increasingly expecting modern, mobile learning environments, it's crucial the Irish education sector is able to keep up with new technologies and ways of working," says Chas Moloney, director, Ricoh UK and Ireland. "Increasingly, educational institutions are competing on the basis of efficiency, value for money, and the quality of student services, all of which can be enhanced through technology if it is properly integrated and used throughout an organisation." One interesting statistic from the report highlighted that with 89 per cent of education sector respondents being impacted by mobile working, the sector is under pressure to adopt new technologies to support this. However, it pointed out that new mobile devices alone are not the answer to enhanced information sharing. 77 per cent of respondents said that while they have access to some of the latest devices their use is being hindered by back end legacy systems, many of which are not fully capable of embracing mobile technologies like smartphones and tablets to improve document workflows. The report stated that without these devices properly integrated with document workflows, employees find it difficult to share information effectively on the move, update student records in real time or securely submit information back to the network. This results in potential duplication of effort and security breaches. Another concern is that more than two thirds of those taking part in the survey said they are investing in new technologies before fully realising the functionality of existing devices. With budgets under increasing pressure, the report stressed it is vital that educational institutions ensure they make the most of the existing technologies available to them with proper systems and workflows in place to benefit from their full functionality before deciding to invest in new equipment and devices. "There is little benefit to buying new technology if it is not fully integrated within a school or university's network, with staff able to access and process information, and share knowledge, in the right format, at the right time. For this to happen, organisations need to review their technology and document processes in tandem to ensure they are working together to support business objectives," added Moloney. "For the education sector, optimised document processes mean classroom staff can be more productive and spend time delivering a richer learning experience, instead of spending valuable time finding and archiving records and documents." The research, the Ricoh Document Governance Index, was conducted on behalf of Ricoh by Coleman Parkes Research. It reveals the extent to which new technologies are impacting the way businesses in Europe - including educational institutions - are managing information, including the business critical document processes that underpin everything from operations such as finance, HR and procurement to student records and admissions applications.